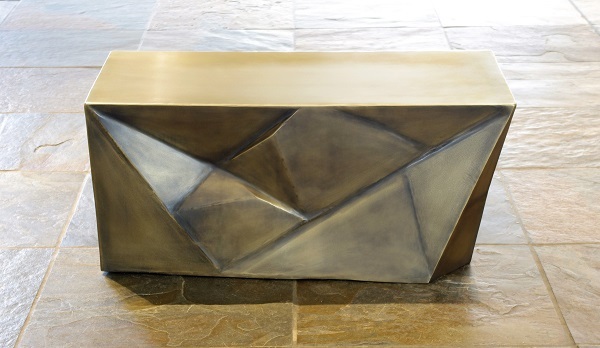 This angular pyrite coffee table is named after the ancient Sigiriya Rock in Sri Lanka. Sigiriya is famous for its characteristic shape and plateau top. 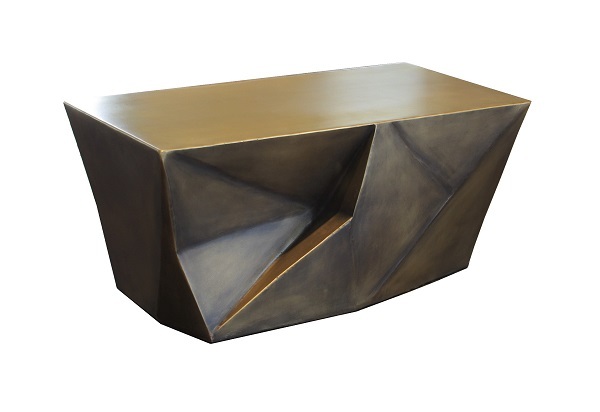 Coffee table has a steel construction and is available finished in brass bronze copper and pewter. We also can make this table to additional client size and shape specifications. For example larger or smaller and square or rounded. Contact our office to enquire. Dust base regularly and only if necessary, wipe clean with a damp cloth, buff after with a dry cloth. Avoid placing sharp objects on the metal top to prevent scratches. Free delivery within the Uckfield area (up to 40 mile radius). Outside of that from £50. 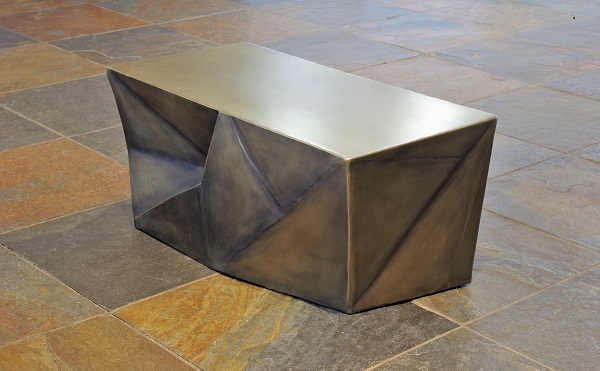 Our industrial styled contemporary coffee table is made from metal. Then finished with real brass and aged to create a worn utility appearance. Not just a table! Sigiriya can also double as a bench for seating indoors or out. In addition we can make this table to different client size and shape specifications, e.g. larger or smaller and square or rounded. Please contact our office to enquire. Alternative finishes are available in bronze, copper and pewter and for the highest spec stainless steel (price available on request).